May 22, 1988, LP Grey. 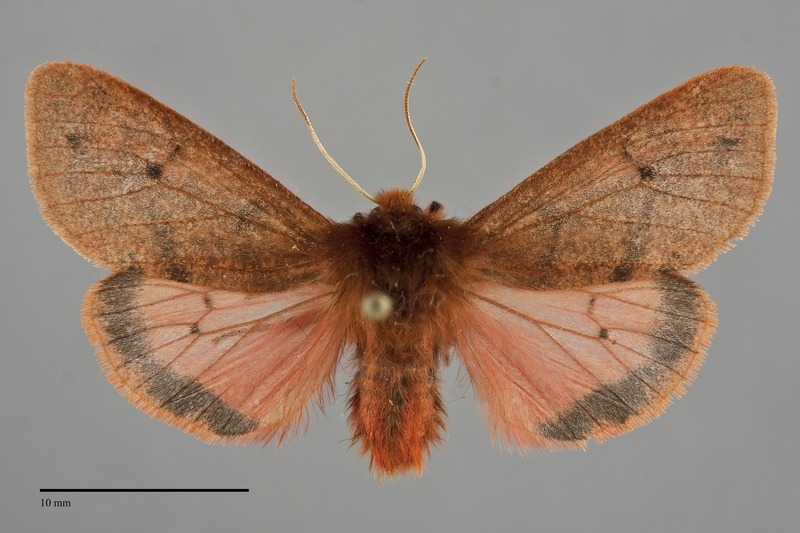 Phragmatobia assimilans is a medium size (FW length 14 - 19 mm) reddish tiger moth found in the northern part of the Pacific Northwest. The forewing is opaque dusty medium to dark orange brown, with distinct dark gray antemedial and postmedial lines and discal spot. The hindwing is slightly translucent pinkish red with a narrow black marginal band and dark veins. The head and thorax are slightly darker than the forewings, while the abdomen is darker red than the hindwing with several black stripes. The filiform antennae are pale. 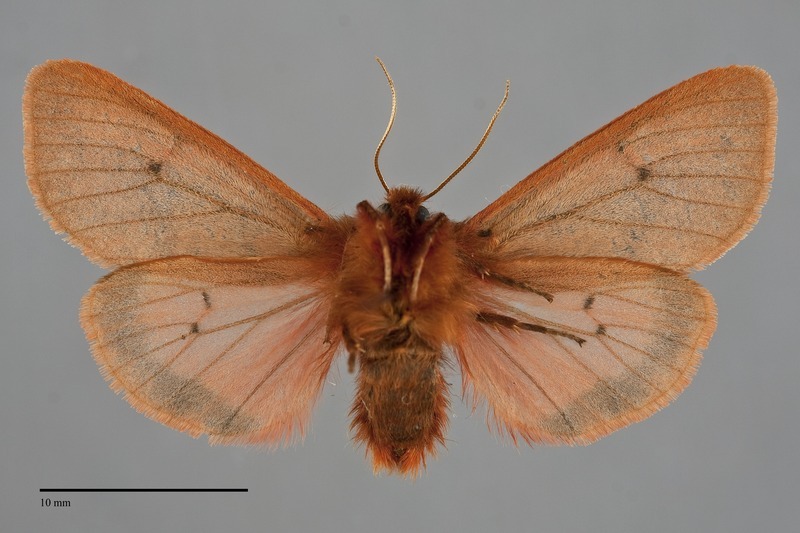 This species is similar to the more widespread P. fuliginosa, which can be distinguished by the lack of transverse forewing lines and a much wider hindwing marginal band. It is also generally resembles Neoarctia beanii which occurs in subalpine forest in the northern Rocky Mountains. This species has much wider forewing bands and a hindwing medial band unlike P. assimilans. This is a northern species that is widely distributed across Canada extending west to the Rocky Mountains, and occurs in open meadow and moist forest habitats. Phragmatobia assimilans is only known from British Columbia in the Pacific Northwest, although it might also occur in northern Washington and Idaho. Records are from just north of the 49th parallel as far west as Oliver in the south Okanagan region, and south of the Peace River. This species is found in boreal forest habitats in a relatively narrow band across North America. It occurs continuously from Nova Scotia to Connecticut in the east to British Columbia. There are isolated records from further south in northern Colorado and the Black Hills of South Dakota. This species feeds on a wide diversity of herbaceous plants, and also on some low woody hardwood shrubs. Adults have been found from late spring until August. They are nocturnal and come to light.